Auberge Africa is a traditional inn located in the Sahara Desert on the Erg Chabbi dunes, 1 km from the village of Merzouga. You can admire the panoramic view from the terrace and enjoy mint tea in the garden. 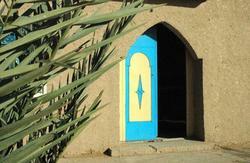 The guest rooms have a traditional decoration and they offer views of the sand dunes. Some rooms have a private bathroom that is fitted with a bath or shower. Moroccan cuisine is served in the inn’s restaurant, and you can dine on the terrace. After dinner, you can choose to go hiking or mountain biking. Free internet access is provided in the business centre. Lake Dayet is 4 km from this property and free private parking is available on site. Auberge Africa can help organise camel rides and sand bath treatments. Cancellation Policy : 1 day. Flexible Check-in/ Check-out time subject to availability. Reception opened from 07:00 - 22:00. Daily buses from Marrakech or Fes directly serve Merzouga. We can if you want to pick you up at your arrival. 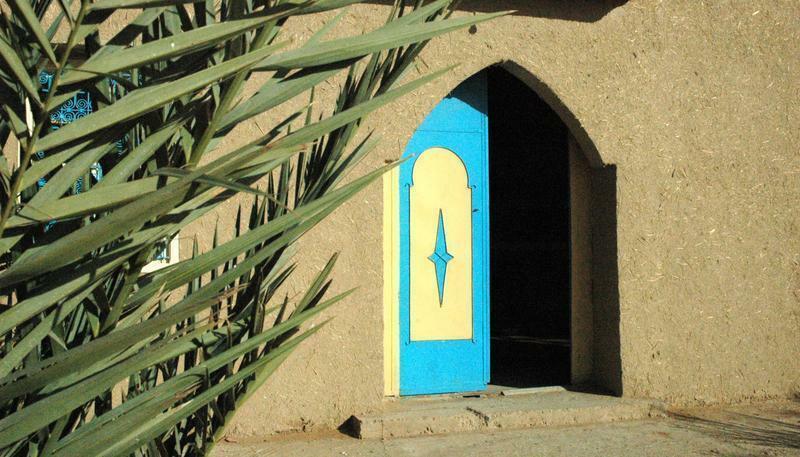 Arrived at the village of Merzouga, follow the signs to the property, or go to the door of Merzouga, then go straight for 150m leaving the main street on your left, towards the big dune, then take the path that starts 300m on the left, and the property Africa is facing you!